Healthy,wild plants,herbs and botanicals grow everywhere in spring. 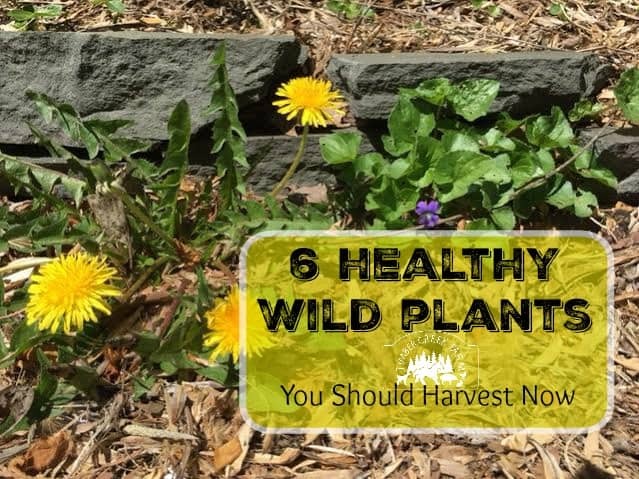 Many of the healthy wild plants in your yard have healing properties. From the common dandelion to wild violet, chickweed and berries, wild plants contain healthy nutrients. Many wild plants can be used as greens in salads, or added to a light oil to make an infusion. With the right knowledge, the tinctures and extracts can provide powerful healing without resorting to pharmaceuticals. Adding dried herbs to baking takes the flavor to a whole new level. 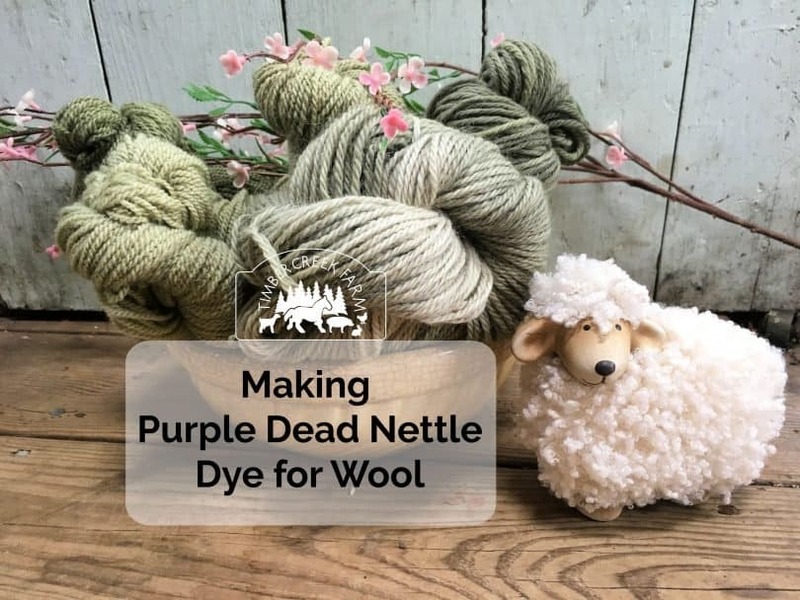 Being new to this subject field, I have been reading many blog posts and articles on using wild plants and herbs in different ways. I provide links to the source whenever possible. Please click on the links for more information. 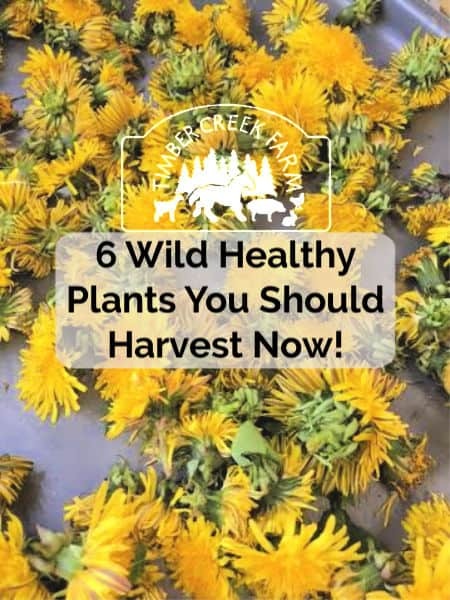 The oh so common and well known wild plant is present in most yards that are not treated with chemicals. Dandelions (Taraxacom) are both edible and medicinal wild plants. Pollinating insects love dandelions too. Many bee and fly species are very happy to drink the abundant nectar. Dandelions play a vital role in honey production because of how much pollen and nectar they feed to the bees. The soil benefits because dandelions produce lots of nutrients, particularly Nitrogen, that go back into the soil. 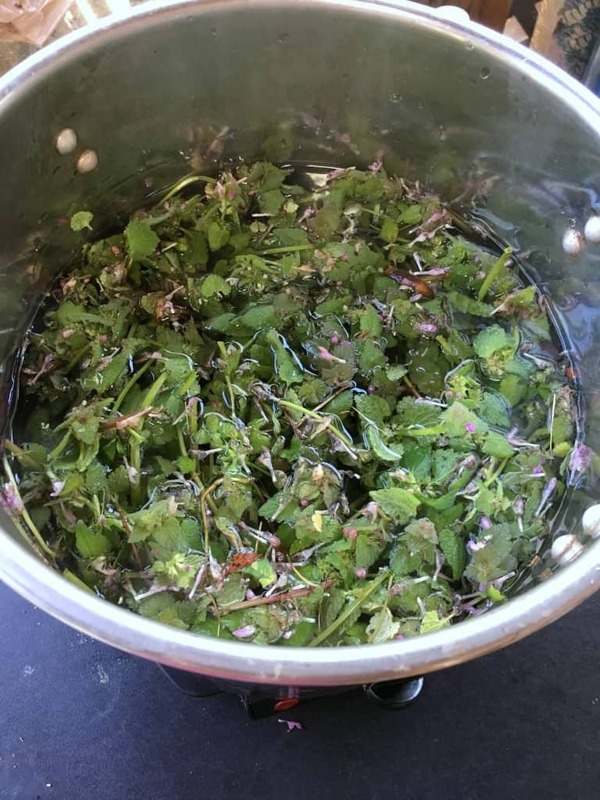 There are so many beneficial uses for dandelions including the leaves for salad greens, the flowers can be fried, the root can be used as a tea or coffee substitute. Medical professionals caution that the use of any herb can be overdone, cause a reaction, or interfere with prescription medications. Dandelions can be made into tea, tinctures, extracts, oil infusions, raw greens, and dehydrated. Plantain (Plantago Major) was introduced to this country by the early colonists. What many people don’t realize is, Plantain is actually an herb. In our yard, we actually have both the broad leaf and the thin leaf varieties. The leaves are edible and contain antibacterial and antiseptic properties for healing. The leaves can simply be chewed to release the juice and the mushed leaves placed on the insect bite or inflammation. Plantain leaves can be used to make a tincture, tea, or infusion. To store nature’s bounty of plantain for winter, freeze the leaves or dehydrate. 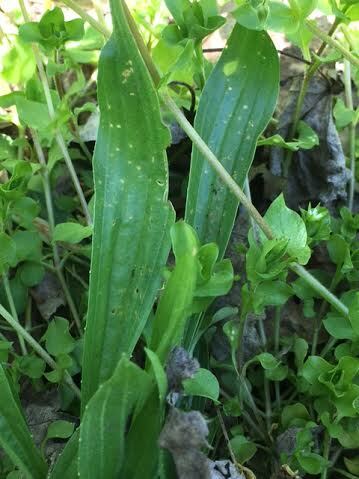 Leaving plantain in the garden or lawn is good for the other plants. Plantain is a wild plant that accumulates nutrients in the soil, making the soil better for growing. 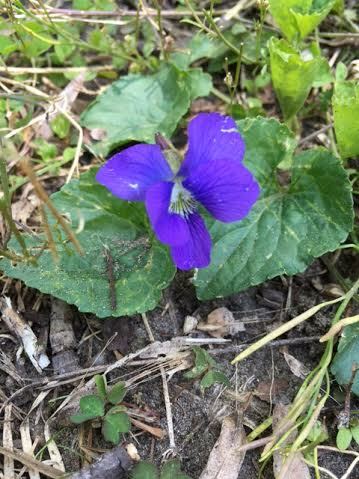 These small purple flowers grow abundantly in shaded areas and in lawns. The leaves and flowers are both edible. The violet flowers are used in salads, and also can be sugared and used to decorate pastry. The leaves are high in vitamin C. Gathering a basket of the tiny violets is not hard once a patch is established. The seeds spread widely from a hidden green flower in the plant. The flavor is reportedly mild and somewhat sweet. For culinary use, gather the blossoms and make violet infused vinegar or violet jelly. Medicinally, this tiny posy has quite an impact. Violets contain salicylic acid (common aspirin) and components that aid respiratory problems and wound healing. Not bad for a weed, right? Violets are so powerful that herbal info includes a warning to be cautious in the use, particularly the roots, because it is so strong. Chickweed is a favorite treat of my chickens, ducks and small ruminants. I thought it was appropriate that the chickens liked the chickweed! Did you know that chickweed is a wild plant that is very good for us to eat too? Bees and other pollinators love the tiny flower of chickweed. We can use it in a salad. Leaving it for the pollinating insects is a great idea. If you cut the grass and wild plants, leave the chickweed to decompose on the ground. It will add nutrients back into the soil. Chickweed does many healthy things for our bodies if eaten. It is a mild diuretic and contains lots of vitamins! Purslane (Portulaca oleracea), is so high in Omega 3 fatty acids that it is considered a super food. In addition, Purslane is high in vitamins and beta carotene. It looks somewhat like a small leaf succulent. 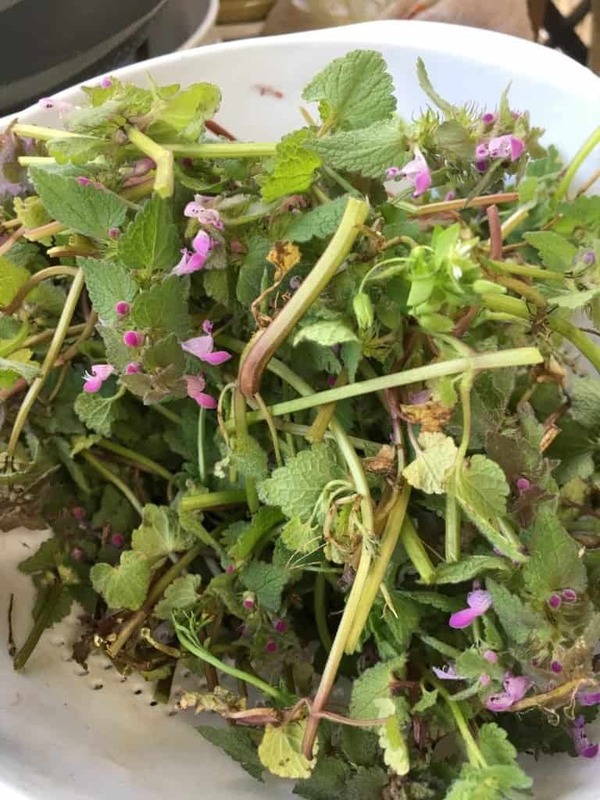 You can eat the entire plant, leaves and stems as a salad or green. Pectin amounts are also high in Purslane so it can be used as a thickener in recipes. Purslane can grow anywhere, although I have read that it prefers rich freshly turned soil. In our gardens it seems to grow in the more barren, dry areas of the garden where other plants are struggling to survive. It grows like a ground cover. If we don’t eat it, I pull it up and throw it to the chickens who seem to be very happy to have a Purslane snack. An early growing weed that spreads quickly has probably been in your garden. I have quite a lot of it in my yard so I wanted to know how it could be used. 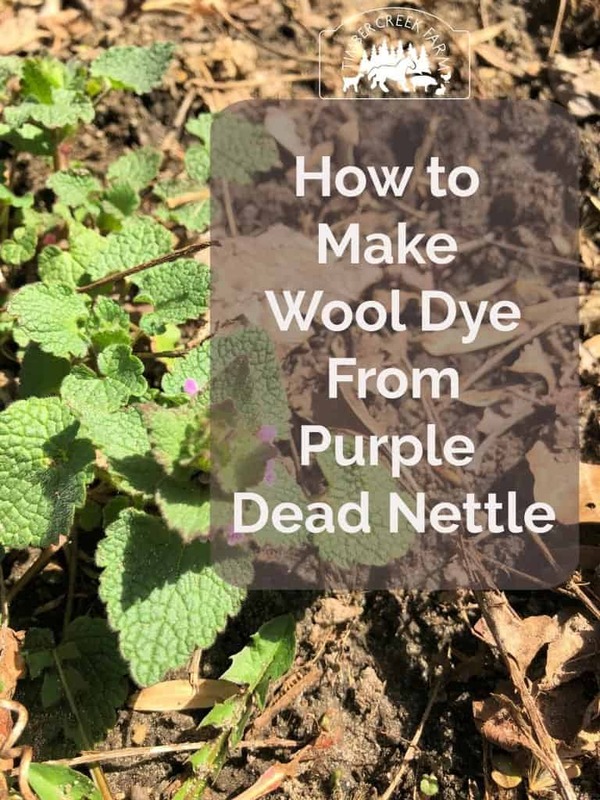 The Purple Dead-nettle is not very heat tolerant and doesn’t survive the hot summer weather we have. It comes back again in the fall. 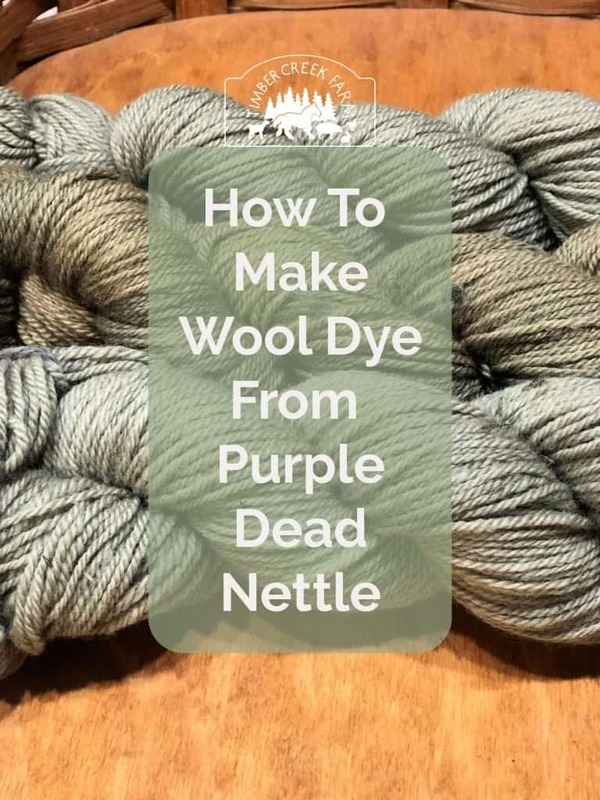 My favorite use for this plant is making natural dye for use on wool yarn. The medicinal properties have been used to help heal bruising after making a poultice. Also, it has been used to stop bleeding. 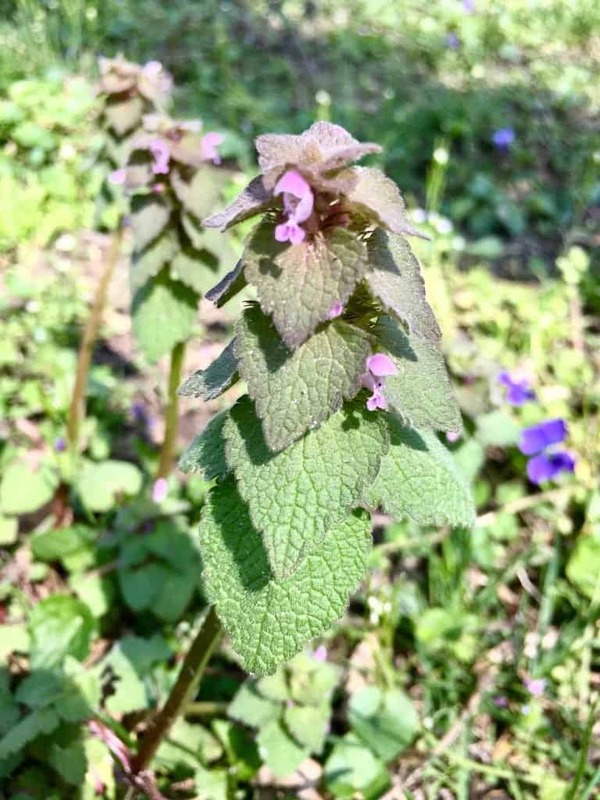 Teas made from Purple Dead-nettle have been used to treat chills. Dandelions are a completely edible wild plant. The flowers are eaten battered and fried by many people. Dandelion wine and Dandelion jelly are both delicious ways to use dandelions. The greens are delicious in salads, and my rabbits, chickens, ducks and pigs all love a healthy dandelion green treat. Take care to harvest dandelions that have not been sprayed with chemicals and herbicides. Also, you might not want to collect your dandelions from the edge of the road. These dandelions might contain contaminants from the road and automobiles. 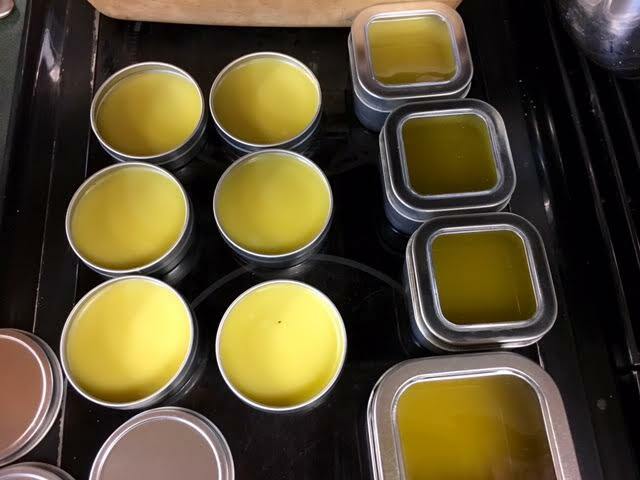 This was my first attempt at making a herbal salve so I consulted a few friends blogs about the subject. I most closely followed this one from Grow Forage Cook Ferment. After I harvested a few cups of yellow dandelion flowers, I laid them on a cookie sheet on paper towels. Since our weather had warmed up, I left the tray on the porch to take advantage of the warm breeze and sun. What you are trying to do is dry out the flowers some because they have a high water content. After a day or two the flowers should be dry enough to start the oil infusion. Infusion sounds so medical to me. It’s really simple. Add the Dandelion flowers to a pint size jar until about three quarters full. Pack lightly. Add olive oil or sweet almond oil to the jar until the flowers are completely covered. To make the infusion, place the jar in the sun for a few days. If you don’t want to wait that long, place the jar in the top piece of a double boiler set up. Bring the water to simmer, and then turn off the heat. Let the flowers in the jar of oil sit in the warm water for a few hours. Strain the oil. I used a mesh strainer. Add a piece of cheese cloth if you think it is necessary. Store the oil in the refrigerator until you are ready to use it in a salve or lotion recipe. 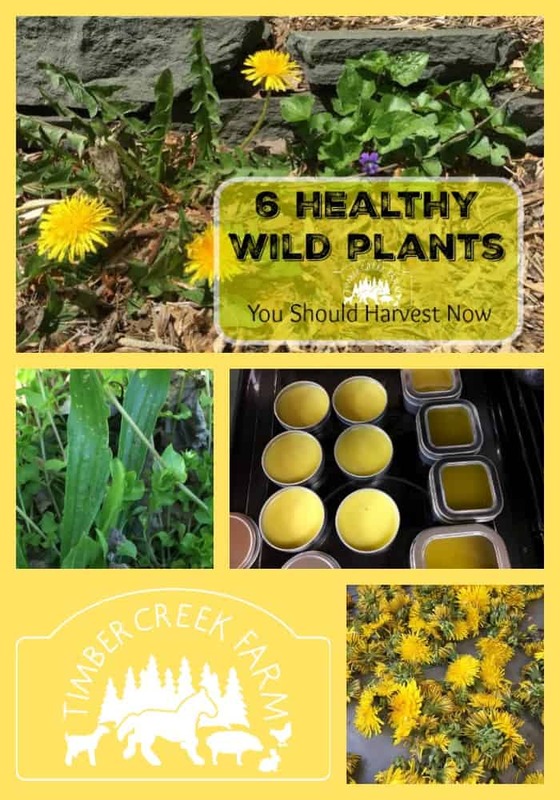 Making a healthy salve from the dandelion flowers in another way to benefit from what many consider a weed. Again, use a double boiler type set up. Heat 16 ounces of Dandelion oil in the double boiler. I didn’t have quite enough infused Dandelion oil so I just added more olive oil. 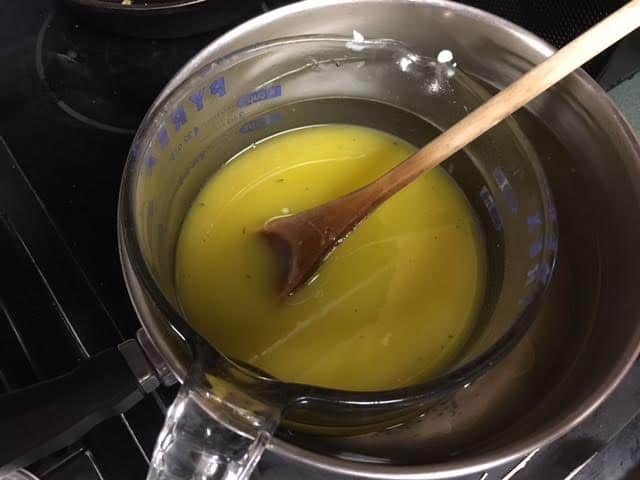 Melt 2 ounces of Beeswax and 2 ounces of solid coconut oil. When the three ingredients are completely melted, add the other optional ingredients. I used some ground lavender leaves, lavender essential oil and a few drops of wild orange essential oil. Stir to combine and then quickly pour the mixture into the small glass jars or small metal containers. The salve will harden fairly quickly. 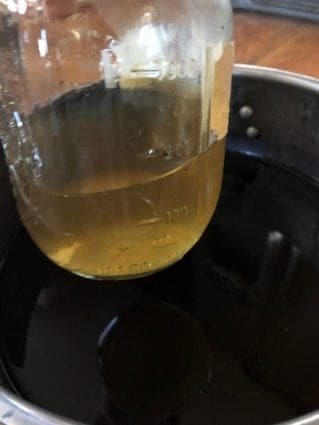 Since it has so much coconut and olive oil in it, when you take a scoop to use the salve it melts quickly and absorbs quickly into your skin. After the oil has penetrated your skin, the salve continues to work and heal your skin. These are a handful of wild plants that are growing in my yard. What sort of wild plants do you use in cooking or homemade remedies? Share with me in the comments. Disclaimer – None of the information presented here is intended to be medical advice. When using plants for health care, it is always best to consult your health care provider. Ascites in chickens and ducks is a life threatening condition exhibiting fluid build up in the abdomen. Both chickens and ducks can suffer from this health issue, although it is not common in backyard flocks. The condition is most prevalent in broiler chickens and meat ducks. 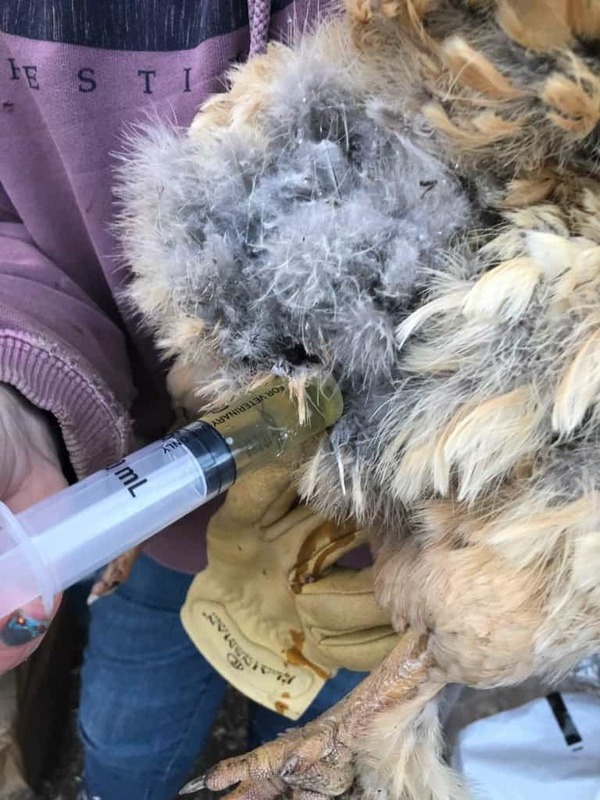 There are signs and symptoms all poultry owners should be aware of so that treatment can be started early. Although the treatment will keep the chicken or duck more comfortable, ascites in chickens and ducks is not curable, but it can be controlled in many cases. Recently a friend contacted me about a duck that had a protruding belly that felt tight, much like a water balloon. No egg was felt in the abdomen and no discharge was observed. 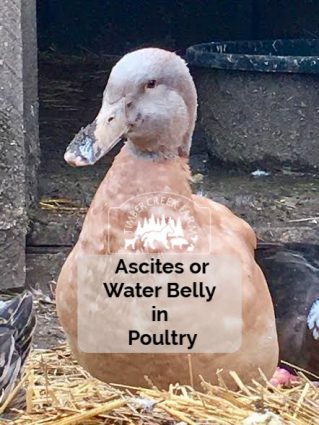 These are classic symptoms of water belly or ascites in chickens and ducks. In addition to the water belly, the bird may be reluctant to move around. Other symptoms can include lethargy, and no interest in food. In addition, the chicken with water belly may not be able to get on the roost at bedtime. A patch of red skin may be visible on the abdomen. The swollen area can be warm to the touch. For a good photo of this red patch of skin check this post from The Cape Coop. How Does Ascites Occur in Chickens and Ducks? Understanding a little about poultry anatomy helps us understand why the bird is reluctant to eat or move around. Bird lungs are rather rigid. They do not have the ability to expand as mammal lungs expand. As the fluid builds up and takes up space, it is harder for the bird to breathe. Because Ascites is basically a disease of right ventricle failure and hypertension, the chicken or duck will become listless, and look unwell. As the heart failure progresses, the liver begins to malfunction and release protein filled fluid into the abdomen. For more in depth details about the pathogenesis and epidemiology of ascites in chickens and duck, refer to the Merck Veterinary Manual. 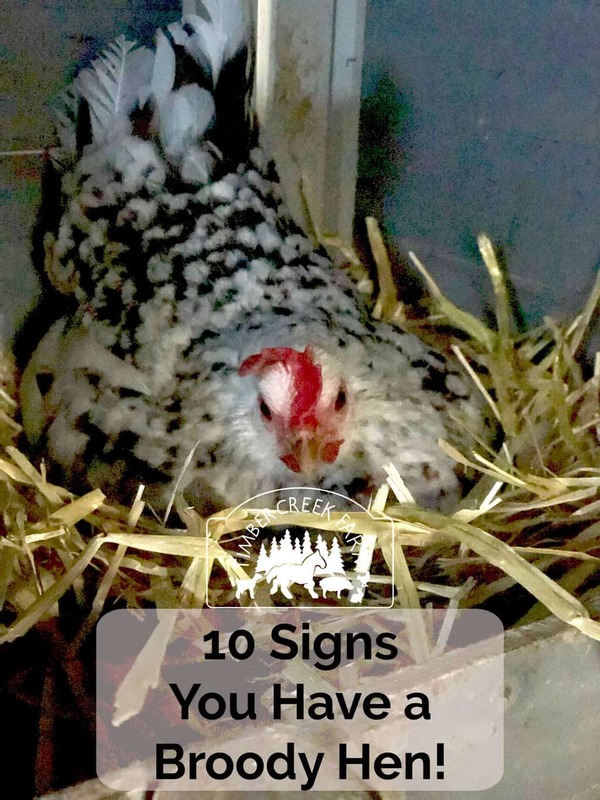 The general signs of illness in poultry may be present, pale comb and wattles, dull eyes, unsteady gait, or sitting and walking in an unusual manner. Ascites in chickens and ducks there is no risk of contagion as there is in other deadly poultry diseases. If the bird is happy and content in the coop, you do not need to isolate while treating. 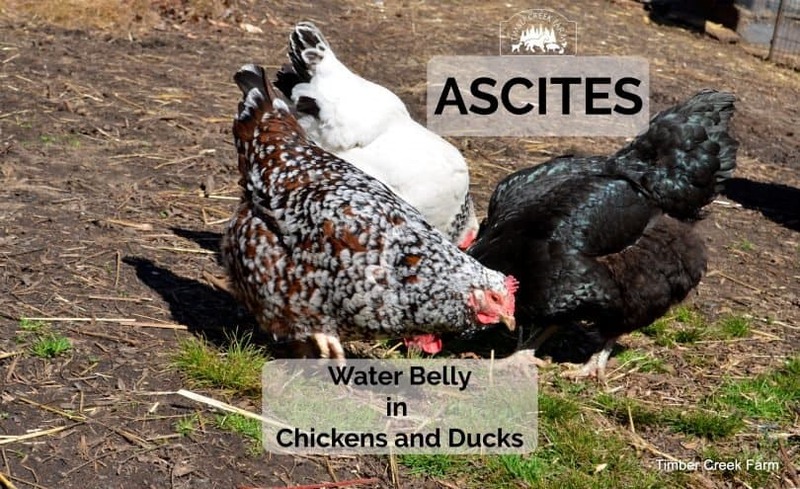 What Causes Ascites in Chickens and Ducks? Genetics – Some breeds can be genetically predisposed to heart disease. Broiler chickens and meat breeds have the condition more commonly than backyard egg production hens. Since it can be hereditary, do not hatch or sell hatching eggs from a hen with water belly even if she is not currently showing symptoms. Age – Older hens can develop water belly as their organs deteriorate. Food and Treats – Too high of a protein level can stress organs. Also, a high sodium intake can throw off the balance so be cautious of the treats given to poultry. Feed your poultry the proper food and treats for good health. Environmental Stress – Extreme heat can lead to organ stress and electrolyte imbalance. Chicks that are not kept warm enough can develop early heart disease. Other environmental factors include proper ventilation, cleanliness, and general unsanitary conditions. Clostridium perfringens can cause liver damage and result in water belly. Once the bird is suffering from heart failure, reversing the damage is next to impossible. However, it is possible to keep the chicken or duck comfortable and happy. Please note that I am not a veterinarian. 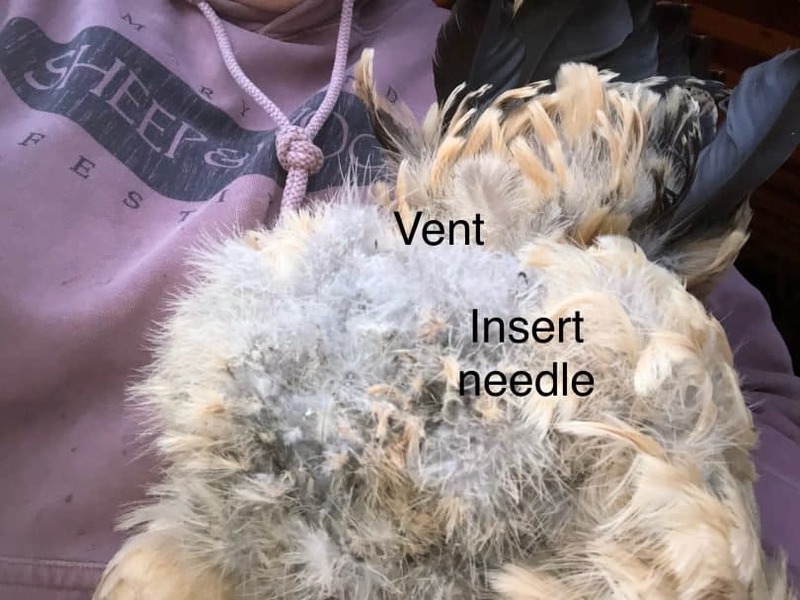 The procedure I have used on chickens in my flock has resulted in successfully keeping the birds alive and happy for a long time. 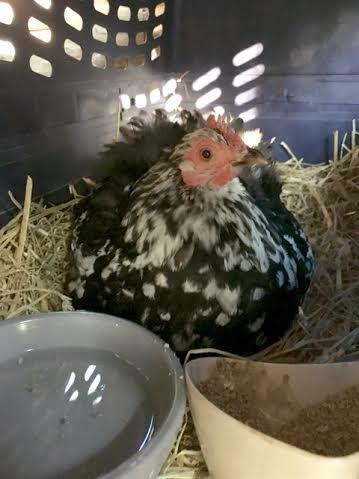 My latest case of ascites is in a Brahma hen. She exhibited classic symptoms of water belly in the fall. 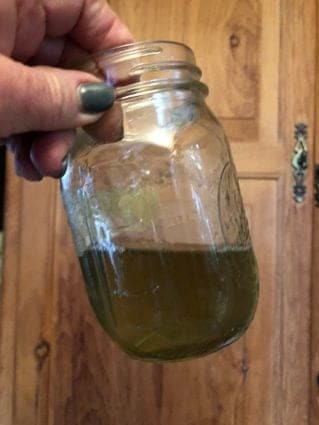 I drained off fluid three times over a six week period. After that, she had a good winter with no return of fluid until early spring. At that time, fluid had accumulated to the point that she was unable to roost with the other chickens. I noticed her trying to bed down on the floor of the coop, and sure enough, her belly was tight and she had lost some weight. The following first aid kit items are needed for draining fluid from the lower abdomen. large gauge syringe, this can be reused during the course of treatment. Test out the syringe prior to the procedure because some are quite tight and a few test pumps will loosen it up. small gauge needles – do not reuse these. Dispose of needles properly to protect yourself and others. an assistant can be very helpful during the procedure although I often do this by myself. Have all the materials ready and close at hand. The faster you can work, the less stress the bird will endure. Identify the area for the needle to enter. This should be the right side of the belly, down and to the right of the vent. Try to let gravity work with you. The lower you can drain, the more fluid will naturally continue to slowly drain after the procedure. Tuck the duck or chicken under your arm and swab the lower belly area with the alcohol wipe. It was very helpful for me to watch a video before beginning. Teresa Johnson has a good video published on YouTube showing exactly how this procedure is done. 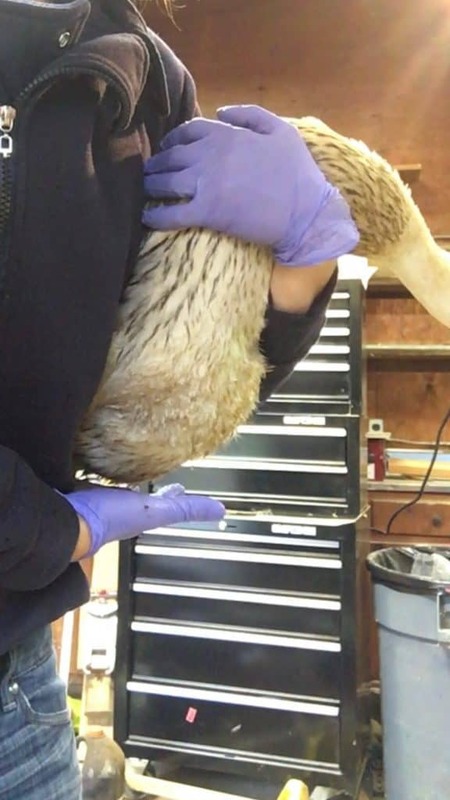 Other videos can be viewed on Common Sense Home with information provided on how they are dealing with the issue in one of their runner ducks. Do not draw too much fluid at one time as it can cause the bird to go into shock from fluid loss. I return the bird to a quiet area for a few minutes of observation and a favorite treat, before returning to the flock. Ascites in chickens and ducks is not contagious and no isolation is necessary. The bird usually perks up quickly and returns to normal behavior in a day or so. Another fluid draw can be attempted after two days or sooner if needed. I do not draw fluid again that same day. 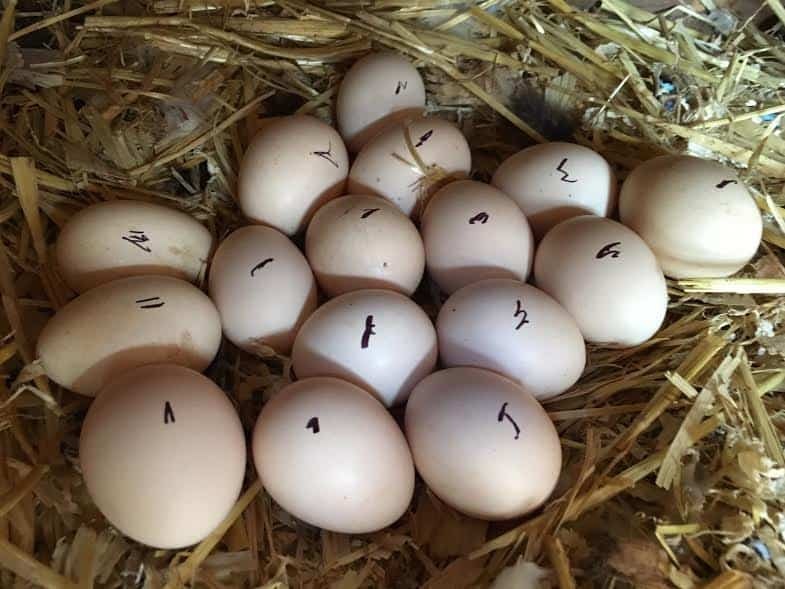 Each bird is different and will refill at different rates, therefore chickens or ducks with ascites will need to be monitored closely for the rest of it’s life. The fluid drain will improve the quality of life, but is not a cure. Ascites in chickens and ducks is a result of a disease. It is not a disease in itself. Some of the illnesses that result in water belly are major organ failure, heart issues, toxins in the environment, or even a tumor. Only a qualified veterinarian can provide the testing to determine what underlying issues might be the cause of ascites in your bird. The following photos were shared by Angela Ferraro -Fanning. 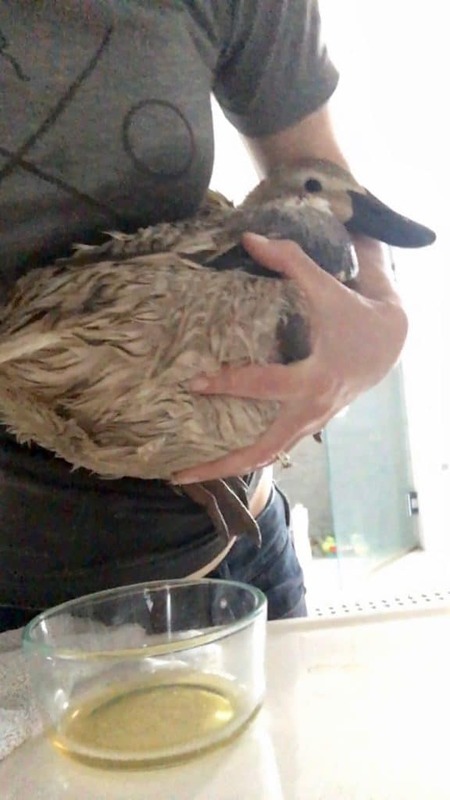 I am very grateful that Angela asked me to discuss this treatment as she cared for her duck. Thankfully the duck was doing very well post draining. You can follow Angela and her tales from Axe and Root Homestead on Instagram. Keep in mind that this draining fluid procedure is rarely a cure. It does allow the bird some time to return to normal activities. The frequency of fluid draws might become more frequent, in which case you might choose to end the bird’s suffering. 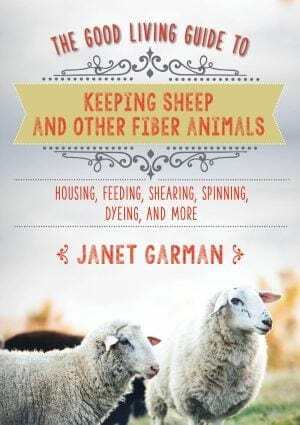 In other cases you may gain months of life from your backyard flock member. Common Sense Home did an extensive search of plants and foods that could help relieve the condition that leads to water belly. Oregano and garlic are known heart healthy foods and heart tonics. Squash is high in potassium which can lower blood pressure. 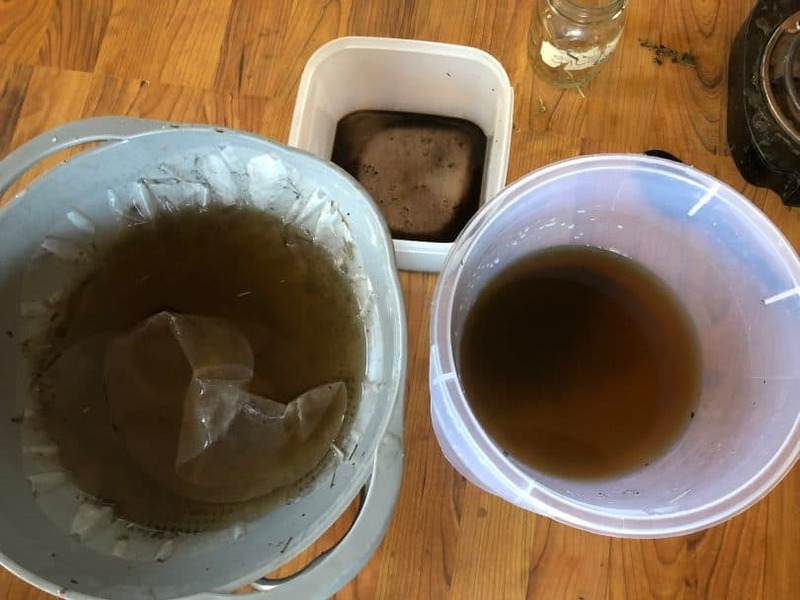 Read more on the natural methods being used by the duck caretakers of Common Sense Home in this post. Most articles on ascites in chickens and ducks recommend culling the affected animal. If you feel that your bird still can enjoy a good life, taking the approach described here can buy you time with your working pet. You may get to enjoy many more months with your chicken or duck. Are you looking for Do it Yourself style help with your backyard or small farm poultry? 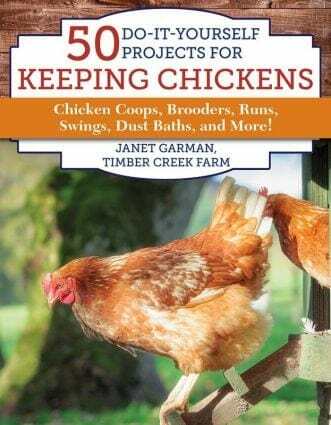 Please take a look at my book, 50 Do it Yourself Projects for Keeping Chickens (Skyhorse Publishing, 2018) available on this website or Amazon, Barnes and Noble, Tractor Supply or your local bookseller. 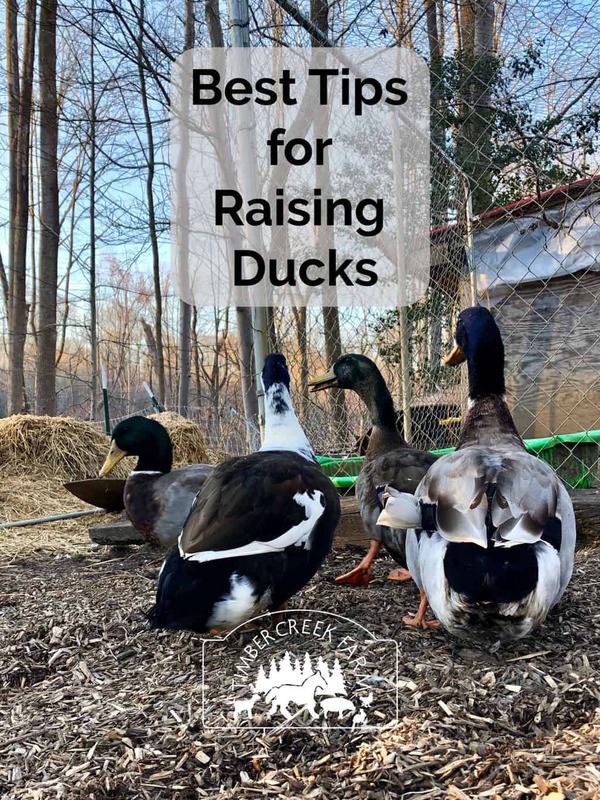 Raising ducks is different than raising chickens, although you can be successful raising ducks and chickens together. Some modifications need to be addressed when raising ducks, and they add a new dimension to your barnyard. Ducklings arrive in the feed stores and hatcheries later than the chicks usually. I have my own unproven theories about why this is the way it is. Ducklings are cute little fluffy mess makers. Not long after you bring them home, you will realize that with even a small amount of water, ducks will make a big wet mess. Those cute little webbed feet can sure track a lot of water around their brooder. Ducklings grow incredibly fast, and soon are consuming a huge quantity of starter ration. 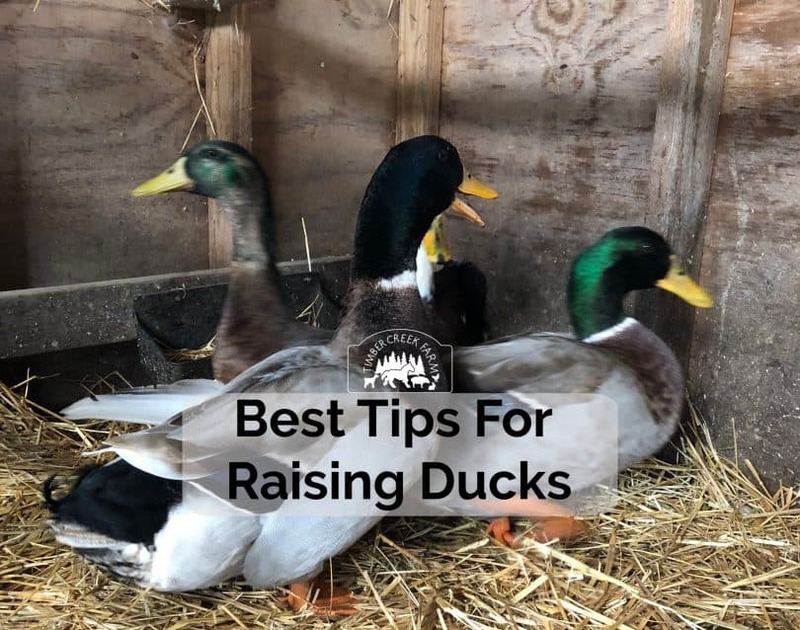 The good news, and more realistic reason that ducklings are available later in the spring is, that is when the ducks lay more eggs for the hatcheries to incubate. Ducks will lay year round, but they lay more eggs during the natural mating season of March through June. Once you bring home a few ducklings you will be glad of two things. 2. Because the ducklings grow quickly they can go outside earlier than chicks. (They will still need time in the brooder with a heat lamp to start off) Being hatched later in spring means the weather is warmer and the ducklings can move outside sooner. 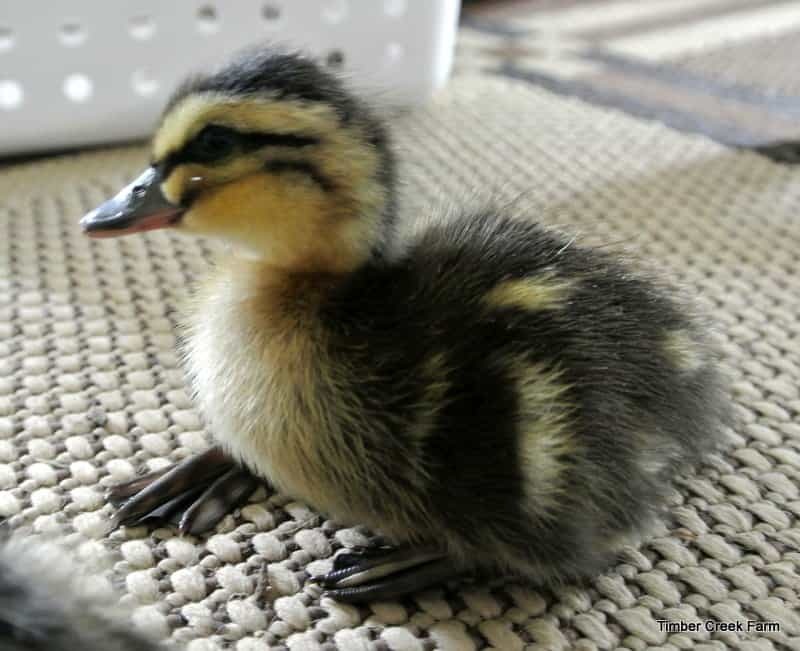 Ducklings are a good addition to your backyard or homestead. Ducks are reliable egg layers, easy to keep, and excellent at foraging for grubs, slugs and snails in addition to other insects and weeds. They are happiest if they can have some free foraging time every day, but can be successfully kept in a large pen as long as you bring them a varied diet of grasses, and insects. Dried meal worms, watermelon, and salad greens are favorite treats that also add valuable protein and nutrition. Duck do need secure housing particularly at night, to protect the from predators. Since ducks are extremely cold hardy, our structure has large ventilation spaces at the tops of the walls, covered by hardware cloth. This allows maximum air circulation for preventing odor buildup inside the coop. In the coldest parts of winter, we can cover the “windows” with plastic to keep the coop warmer, if necessary. Do Ducks Need a Perch? The coop or duck house is low to the ground although we can fit inside to clean it out. There is no need for perches as ducks do not roost on a bar like chickens. Providing straw for nesting and to keep the floor a little drier helps. I pile more straw in the corners to encourage the hens to lay eggs there. This keeps the eggs out of the traffic lanes and keeps the eggs cleaner. Surrounding our duck house is a large pen. The ducks can be returned to the pen when we are not watching them or if a predator is in the area. At night they are closed in the duck house. Water is extremely important to ducks. They need to be able to dip their entire bill into some water. In addition, they love to swim and preen their feathers in the water. You can get away with not having a wading pool or small pond for them to swim in, but they will occasionally need enough water for a bath. 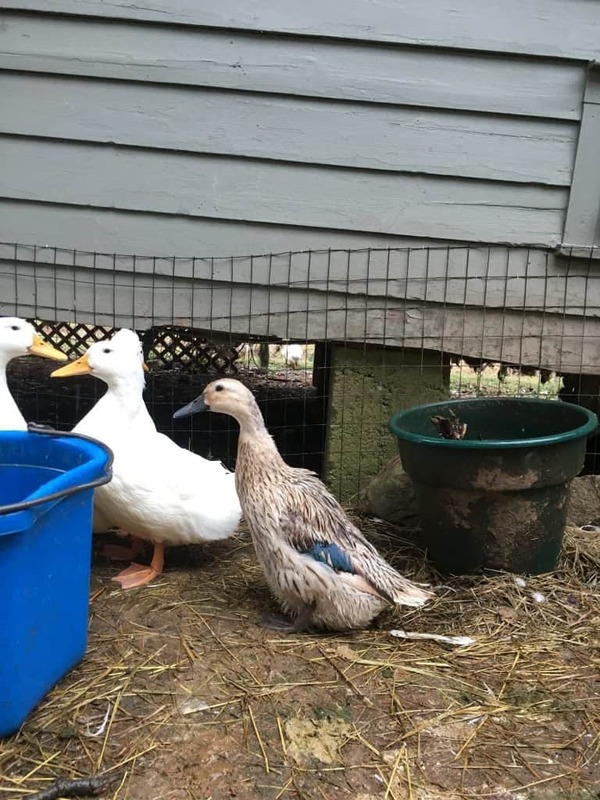 When it is too cold for swimming in the pools, our ducks will still stand in the water bowl and splash around. All that being said, I do recommend giving the ducks as much access to a swimming pool or pond as possible. The ducks will love you for it! Ducks are excellent foragers and can find a good diet on their own. We do supply additional pellets for them, free choice, to supplement what they find when foraging. When the ducks can’t forage due to weather or other reasons, they will, of course, eat more of the pellets. Ducks naturally do very well on a foraging diet. You can read more about feeding ducklings in this post. 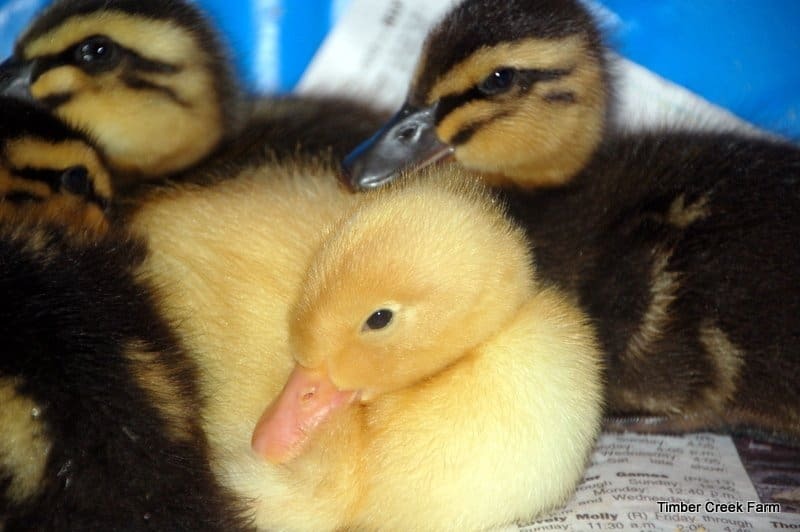 While ducklings are usually easy keepers and resistant to disease and illness, another possible, yet rare complication is called Limberneck in ducks. This is a form of botulism usually contracted from infected fly larvae or moldy food. Read more about this syndrome in this post. No matter what age group of ducks you are feeding, restrain yourself from feeding bread to them. The majority of a duck’s diet should be from grasses and plants. Feeding bread doesn’t contribute to their nutritional needs and can cause wing deformity, bone growth issues, and lameness which can lead to a predator being able to catch the duck easier. 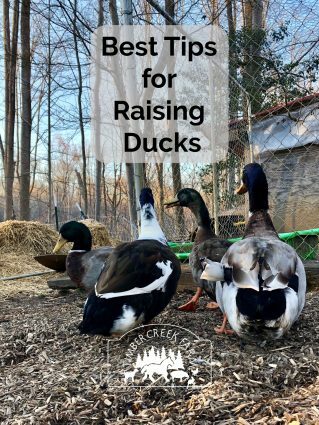 In the growing season, you can throw in chickweed, smart weed, grass clippings, plantain leaves and household or garden salad greens, if the ducks can’t forage for their own greens and bugs. 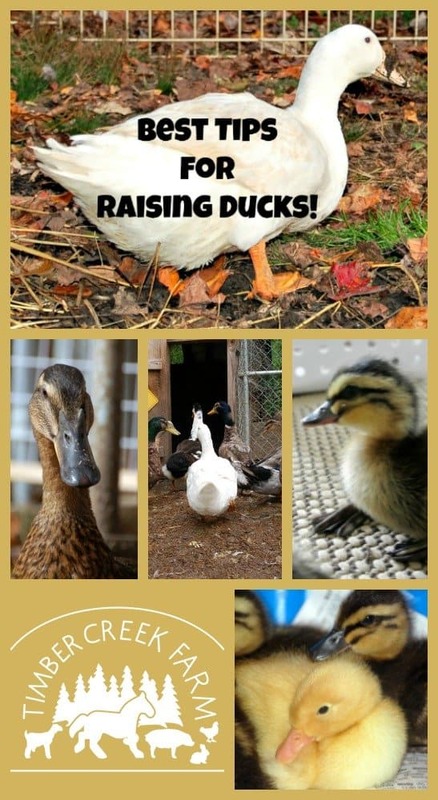 Raising ducks is an excellent way to reduce the insect life in your yard or farm and garden. 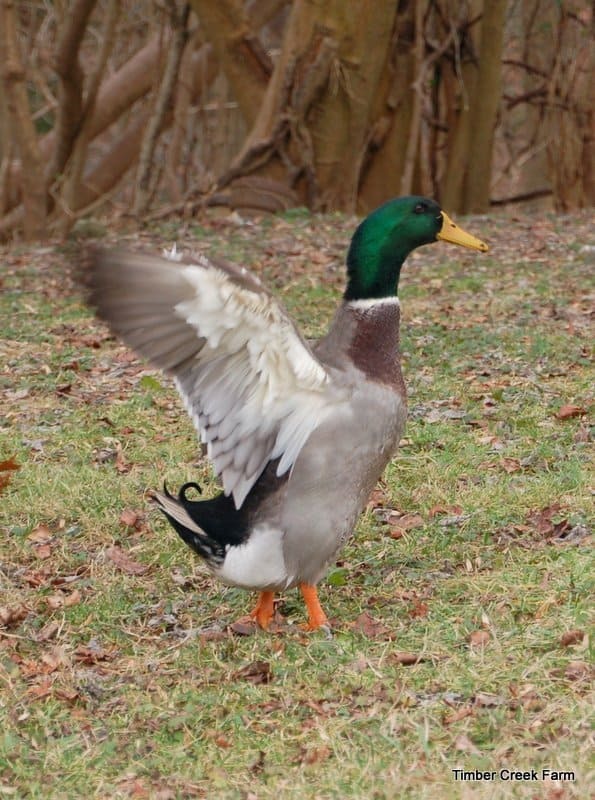 Many of the domestic duck breeds can not fly well at all. They can fly low across the ground level but rarely take off to any height. Fencing does not need to be high to keep ducks in. The only reason to have a high, covered fenced run would be so you can stand up in the covered fenced run. In order to protect your ducks from predators, consider higher fencing and covering the duck run with more wire fencing. Ducks will lay anywhere from 100 to 300 eggs per year depending on the breed of duck. The eggs are edible, and can be used for your breakfast or cooked in any dish calling for eggs. Many people prefer the slightly stronger flavor of duck eggs. Duck eggs are excellent for baking because they have a slightly higher fat content and richness. I love raising ducks and enjoy the joyful fun they add to our farm. Share you duck raising stories in the comments! We love to hear how you are raising your poultry, too. If you enjoyed this post, please consider saving it to your Pin board on Pinterest. Here’s an image I made for this purpose. 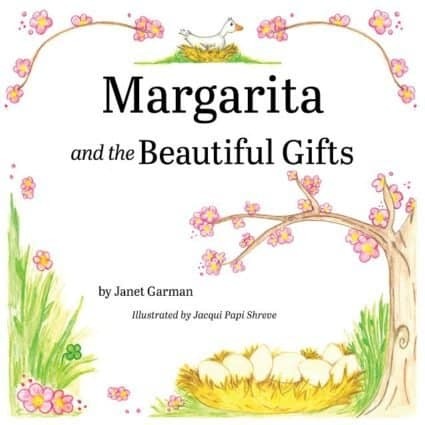 Read my new children’s book. A storybook about two of our ducks here on the farm. This is broody hen season. What is a broody and how do you know you have one? The spring weather brings on the urge to set on eggs and hatch out a clutch of chicks. 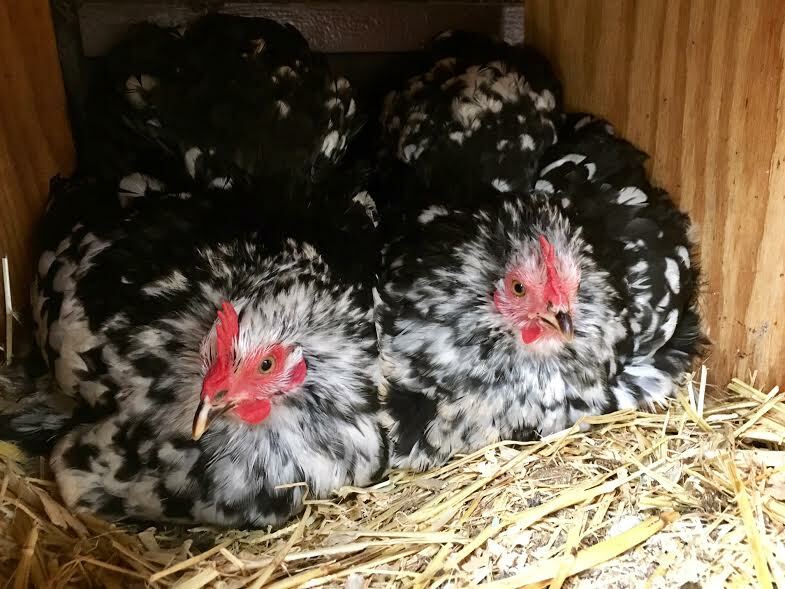 If the eggs have been fertilized by a rooster, in approximately 21 days from when the hen finishes collecting her eggs and begins to set on the eggs, you will have cute new chicks! I specifically bought bantam Cochin chicks, because they are often serious broody hens. We ended up with six hens and 5 roosters, although only one rooster lives with the six hens. First only one hen began broody hen behavior. Before long, all the hens were setting on eggs. Some were co- nesting. Others were sitting on top of other broody hens. It was getting a little crazy in the hen house! Some of the following symptoms and signs may occur when you have a broody hen. Pecking your hand or biting you when you check for eggs underneath her. Chest and belly feathers are missing. Broody poop. It is unusually large and extremely smelly! Hen is very flattened out on the nest. I am impressed with how flat a hen can get while covering eggs. When picked up, she may refuse to put her feet down. Very little food and water are consumed by the brooding hen. Broody hen clucks softly to her chicks as they get close to hatch day. It’s fun to watch the broody hen and her intense concentration, as she waits for the big day. Things can get crazy though when you have a few hens trying to hatch eggs and each thinks she should have all the eggs. I noticed that our broody’s eggs were being taken by some or all of the other hens. They were semi broody, but no where as serious as the first. In order to hopefully have a successful hatch, I could see that our first broody of the year would have to be moved away from the other hens. Eggs were being broken, the nests were becoming sticky and dirty, and this was not a good situation for hatching chicks. Many people use a dog crate for a hen to live in while she broods. This is a great idea. There is often enough room in the dog crate for a small water and food of her own. Or you can use a smaller crate and let her out twice a day to get food and water and relieve herself. The crate keeps the eggs safe from other hens and the rooster. 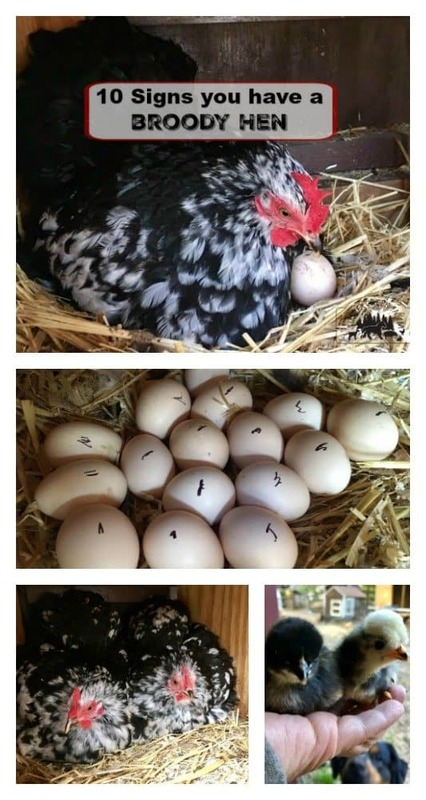 It also gives the chicks time to hatch without being attacked by other chickens. If your hen is upset because you moved her away from the flock or put her into a crate for nesting, try making the move when she is asleep. Carefully removing the eggs to the new nest area in the crate, then getting the broody hen and placing her on the eggs. Doing this while it’s dark, may be successful. After I moved the first broody hen to her own apartment, the other hens settled down to brooding eggs too. They didn’t leave each other alone though. Most days four of the hens would be setting on a communal nest of eggs. At this point, I am letting them co – brood. If egg stealing and breakage starts to occur again, then another crate will be set up. During the brooding time period, your hen won’t eat as much food as usual. This fact makes it even more important that she eat a quality chicken food. Supplement with tasty treats to encourage her to take some food. A soft scrambled egg, meal worms, chickweed from the garden, are all interesting tasty treats. You want to do what you can to keep the hen in good condition. 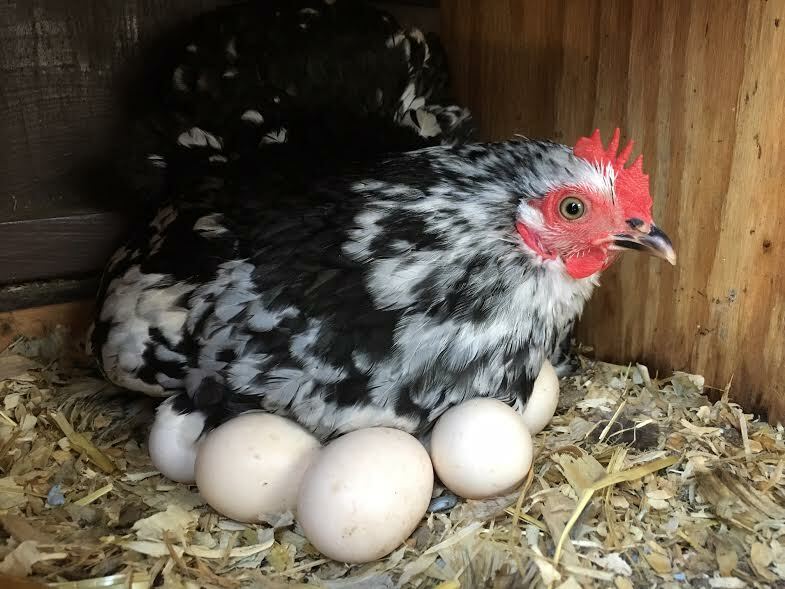 What About When A Broody is a Bad Mother Hen? I wasn’t quite prepared for what was happening in another coop this spring. The hens were broody and not a breed known for broody behavior. But three hens were serious and kept setting. They would set on one egg, three eggs, no eggs, and kept jumping from one nest to another. They proved challenging and would not nest in a lower location. All three insisted on brooding in the highest nest boxes. I wasn’t sure how that would work out once the chicks hatched. It turned out that not only were these hens making questionable choices in nesting locations, they also chose to leave the newly hatched chicks behind, leave the nest and go set on a different nest box of eggs. Luckily we check our coops a few times a day and the chicks were found and taken to a brooder. 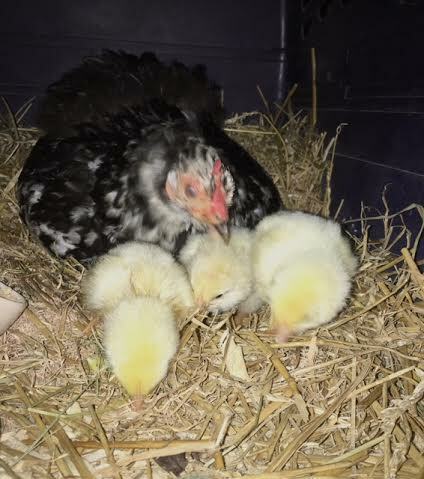 I didn’t expect this behavior from a broody hen! Even hens that do not have a rooster in the flock can go broody. The only problem is, if the eggs aren’t fertilized, they won’t develop. 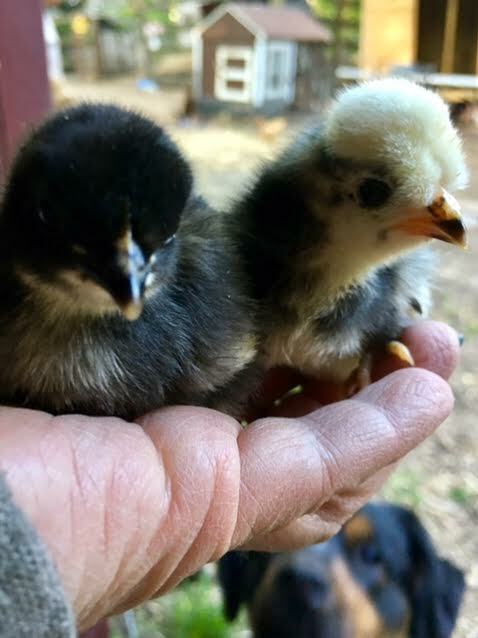 If you want to hatch chicks under a broody and you don’t have a rooster, you can order hatching eggs from someone who does. 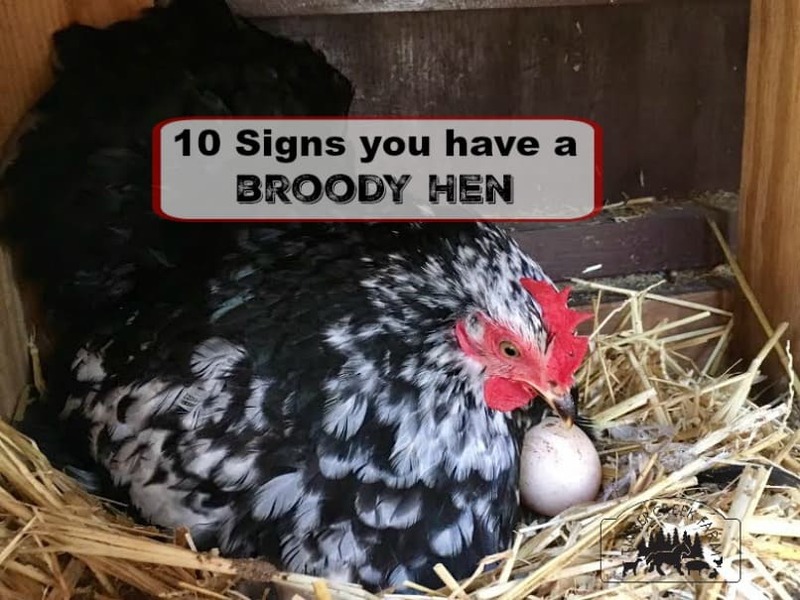 Broody hens don’t lay eggs, and they may discourage other hens from using the nests, or even coming into the coop. Some broody hens are quite mean when they set on eggs. The disruption can leave you with less eggs than you normally collect every day. Also, the broody moms would collect all the new eggs every day leaving us with no eggs! Here’s how I worked around this problem. One day I decided to mark all the eggs that were being set at that point. Each had a mark put on them using a sharpie marker. Any other eggs that did not have the mark, were new and could be collected. We aren’t collecting as many eggs as before brooding began, but at least we can pick up the new eggs each day. For some, not getting as many eggs is an issue. It’s ok if you choose to not have your hen brood. In the past, I have chosen to break my broody hens of the urge, instead of letting them set on eggs. We needed eggs more than we needed new chicks at that time. Brooding chicks from your own flock is an interesting and exciting adventure. Watching the hen teach the new babies how to find food and drink, and then cuddle under her wings to warm up, is very sweet reward for taking good care of the broody momma. Many would argue that this is the best part of chicken farming!